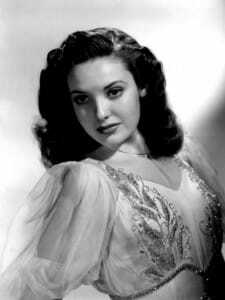 Linda Darnell, was born Monetta Eloyse Darnell, in Dallas, Texas on October 16, 1923. She was one of five children of a post office worker and his wife. A Texas-born beauty, her mother encouraged her to model. Her mother already knew that Linda was special because of her rare good looks. By 1934 she was modeling clothes for an area department store. Sometimes officials would think that she was 15 or 16 because she really didn’t look her age. Neither Linda nor her mother discouraged their thinking. By the time Linda was 13, she was appearing with local theater companies and her talent was already becoming apparent. There was no doubt that Linda had a rare gift for someone so young. When the Hollywood moguls sent scouts to the Dallas-Fort Worth area, her mother thought it would be a good idea to give Linda a shot at a try-out. The talent scouts took one look at her and her acting abilities and arranged for a screen test. She made the trek to Hollywood and when her true age was discovered she was sent home. After two years and more local theater appearances, Linda returned to California and her career was off and running. Her debut was in 1939 in the role of Marcia Bromley in “Hotel for Women” (1939). She was all of 16 at the time and became the youngest leading lady in Hollywood history. Her next film was that same year in “Day-Time Wife” (1939). Her third film was as Carolyn Sayres in “Star Dust” (1940) made in 1940 and Linda immediately rose to heights of stardom. Other quality films followed. 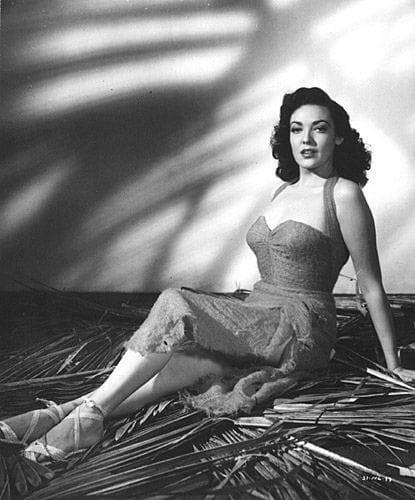 In 1941 she appeared in “Blood and Sand” (1941) and “Rise and Shine” (1941). In 1945 she played Netta Longdon in the film “Hangover Square” (1945). The movie proved to be a box-office bonanza. The following year Linda appeared with the legendary Lillian Gish in “Centennial Summer” (1946). Later that same year she co-starred with Henry Fonda and Victor Mature in “My Darling Clementine” (1946). It was another hit. Linda reached the height of her career when she played opposite Cornel Wilde in 1947’s “Forever Amber” (1947) where she survives the famed London fire. In 1952 she starred in “Blackbeard, the Pirate” (1952) along with Irene Ryan, Robert Newton, and William Bendix. She had filmed a total of 46 movies. Linda’s final appearance on the silver screen was in 1965’s “Black Spurs” (1965). She was married and divorced three times. They were: J. Peverell Marley from 1944-1952, Phillip Liebmann (a New York brewer) from 1954-1955 and finally Merle Roy Robertson (an airline pilot) from 1957-1962. Linda died of burns she suffered in a house fire of an unknown source at the home of her former secretary in Glenview, Illinois. While sleeping upstairs and awakened by smoke, she tried to exit through the downstairs door, but was trapped. Badly burned over 90% of her body she died the following day in the hospital. Ironically, she had been watching “Star Dust” (1940) on television earlier that evening, which was one of the films that set her career in motion. Often described as the “girl with the perfect face”, Linda died on April 10, 1965 at the age of 41.